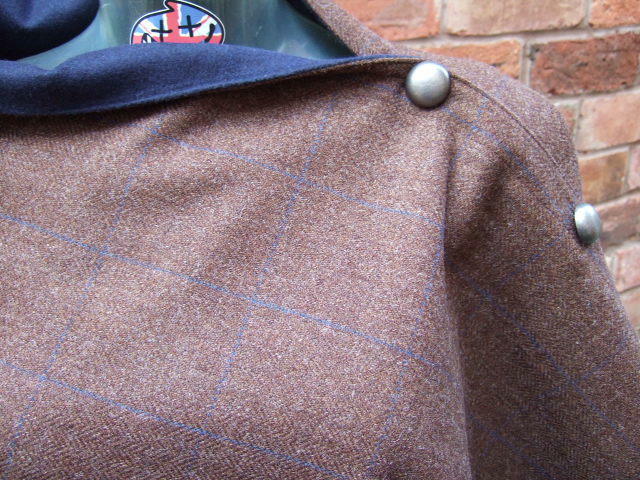 Chocolate with blue cheek tweed and navy Melton wool. Double sided fully reversible throw/wrap. Manufactured from the finest British made tweed..